If you’re a company looking for ways to give back to your local community, you’re not alone! It’s something we try to focus on at Serverless, too. We decided to work with teens in the area who were interested in coding. A team member passed along contact information for an organization called TeenTechSF. TeenTech organizes events for high school students to visit tech companies, go on tours, and learn coding skills through speakers and workshops. The organization itself is run by student leaders (with adult support), and their mission is to provide free events to enable teens of diverse backgrounds to get into coding. It sounded great to us! We got in touch right away. 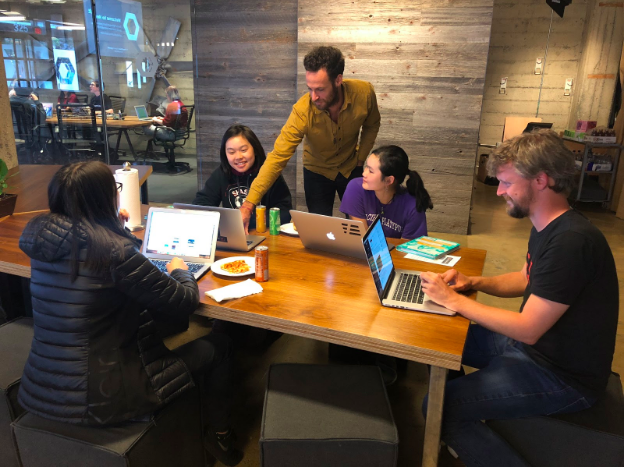 So we created a Slack channel where remote team members could pitch in and help out with questions from the students. We were also able to use it to share pre-event information, and students were able to have a platform for asking us questions leading up to the event. It was a great idea! 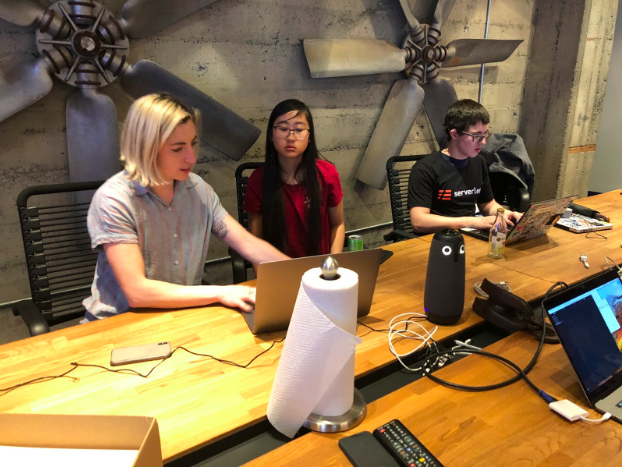 A couple days before the event I had one last meeting with TeenTechSF leadership to get a final headcount (20 students), go over the pre-event email, and cover any remaining questions. I placed a pizza order, and we ready to go. The day of the event, 6 students showed up; we learned the hard way that a weekday night is perhaps not the best for high schoolers. We were all a little bummed at first, but actually, on hindsight it ended up being great because the ratio allowed us all to work with a student one on one. Every teen who came was grinning ear to ear by the end of the night. You could see their faces light up as everything clicked, and they were writing functional code. The students also got the opportunity to ask some really in-depth questions, and in the advanced workshop, they even had time to show off personal projects they had been working on. Knowing this helped us see that, for future events, we perhaps do want to keep the teacher:student ratio small. Lexi Ross (software engineer at Aspen, and one of our teachers), remembers in particular one young woman who was on the TeenTech leadership team. 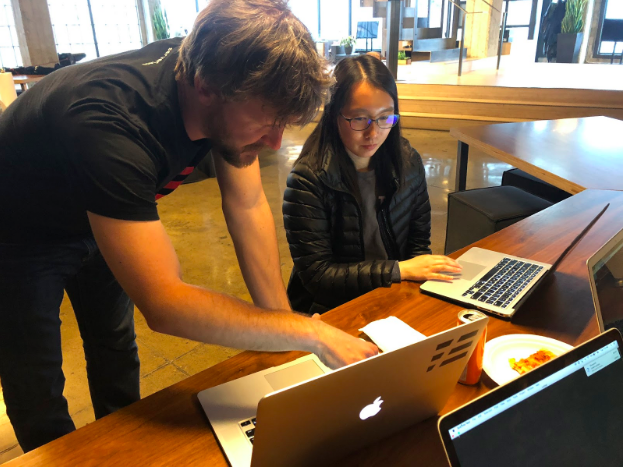 She was initially shy and described herself as “non-technical”, but was able to get up and running with a basic serverless project that served some HTML to users in less than an hour! 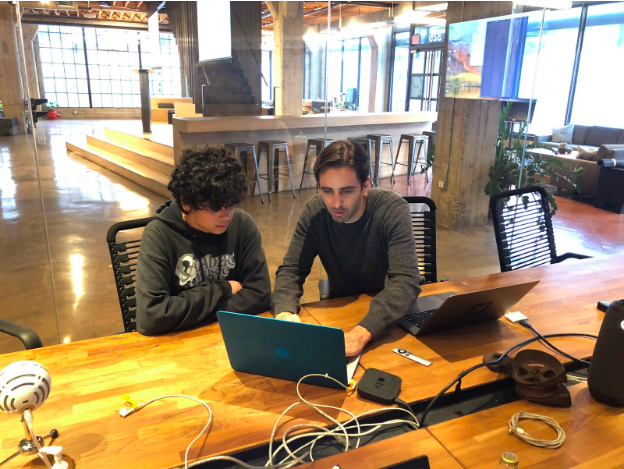 Another student had previously built a project that turned text into Yoda speak, and he was thrilled to find out that he could use Lambda to easy publish his project to an external URL that anyone could access. Nickk Gottlieb was also really impressed with how quickly the students learned. "The teens we worked with didn’t have a lot of experience with coding or software, but they were hungry to build, and once they realized how the code turned in to an actual web page, something tangible, they were off to the races." If we were to plan another TeenTech event, I would hold it on a weekend. I believe this would have helped a lot with attendance. A couple students didn’t bring laptops, and we weren’t prepared for that in advance (several of us handed over our own personal laptops). Another quirk of the planning phase was, since this organization provides a unique leadership opportunity to high school students, that means you’re communicating with students on their schedule. That is to say, in the evenings after school. It made me glad that we took about a month to plan the event, since quick communication during the day was not an option. How you, too, can teach teens how to code! If you’re in the San Francisco Bay Area, I had a great experience working with TeenTech. But as I said earlier, you might want to host your workshop over a weekend. It appears that TeenTech operates in other cities as well. You can contact them to find out if they’re in your city. If you’ve been doing creative things to give back to your local community, I’d love to hear about it in the comments! 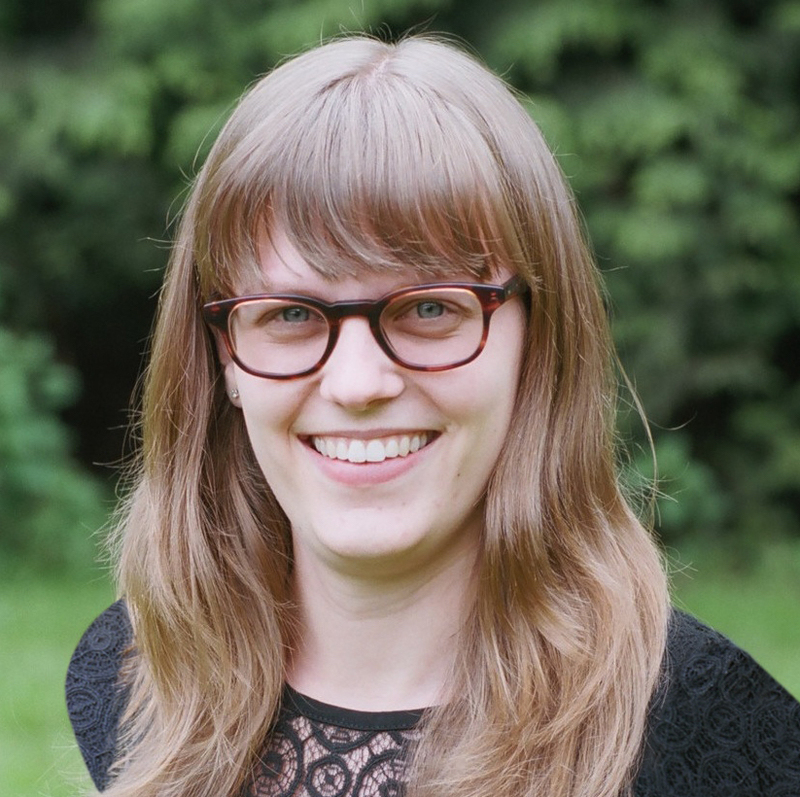 Molly is a People Operations Coordinator at Serverless. Guest author Nick den Engelsman writes about streamlining DevOps and why he and his team at BandLab decided on AWS Lambda + API Gateway and the Serverless Framework.